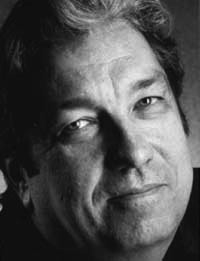 Barry Callaghan is a distinguished short-story writer, literary journalist, poet, novelist, and man of letters. His works include The Hogg Poems and Drawings (1978), The Black Queen Stories (1982), When Things Get Worst (1993), A Kiss Is Still A Kiss (1995), Barrelhouse Kings: A Memoir (1998), Hogg: The Seven Last Words (2001), Raise You Five: Essays and Encounters 1964-2004, Volume One (2005), and Raise You Ten: Essays and Encounters 1964-2004,Volume Two (2006), Between Trains (2007), and Beside Still Waters (2009). A war correspondent in the Middle East and Africa in the 70s, he is the founding editor and first publisher of Exile, the literary quarterly, currently in its 33rd Volume, and Exile Editions, an internationally celebrated press with over 350 titles in print. Barry has received numerous awards, including seven National Magazine Awards, the Foundation for the Advancement of Canadian Letters Award for fiction, two President’s Medal Awards for Excellence (NMA), and the ACTRA Award for best television host. In 2002, Guelph University awarded him an Honorary Doctor of Letters for his distinguished contribution to Canadian Letters.